Doing It Right The First Time! Trust us to make sure your vehicle is maintained properly! We Pride Ourselves In Our Knowledge Of Transmission & General Auto Repair To Get Your Vehicle Back On The Road. At Neptune Transmission & Auto Repair, we specialize in all foreign and domestic car maintenance as well as repair, tune-ups, engine rebuilds, diagnostics, oil changes, and more. 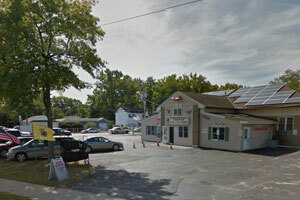 Located in Neptune City, our state-of-the-art shop is ready to serve all your vehicle's repair and maintenance needs. We pride ourselves in our knowledge of general repair and maintenance to get you back on the road. From oil changes to transmission rebuilds, our professional team of technicians will make sure your vehicle is running in excellent condition for the years to come.